Trains and locomotives are fascinating things. Most contemporary diesel engines are hulking masses of steel that weigh hundreds of tons, hauling trains stretching a mile or more. They move with a power that oscillates between grace and brutality. It is little wonder that many railfans are awed by such machinery. The railways are not only their equipment. They are also the people who worked for them, the towns they served, the landscapes they cut through. They are the rhythm of telegraph and code-line poles marching alongside the tracks, the gleam of a distant signal in the darkness, the piles of paperwork spilling off a freight agent’s desk. Or, in terms more recognizable today, they are the reflective vest of a conductor, the shiny new signals installed for PTC, the geometry of overhead wires from a suburban line. I especially want to make a case to you for appreciating infrastructure. What would Pennsylvania Railroad have been if not for the famous Horseshoe Curve? How about Southern Pacific without Tehachapi Loop, or Rio Grande without Moffat Tunnel? These pieces of railway engineering are famous enough that the companies themselves frequently featured them in advertisements. Those working in their marketing departments saw engineering — the actual “road” part of the railroad — as the real achievement to brag about, the company’s true asset. These famous places have not been ignored by railfans. On the contrary, those in the hobby have, for generations, flocked to see them like pilgrims to stations of the cross. Even for those who do not make a camera a regular part of their hobby, these places seem special, something worth seeing. Yet for every mile of track in a famous part of a mountain pass, for every mile of record-breaking tunnel or perilously high bridge, there are tens of thousands of miles of structures that are lesser known, unsung, yet just as worth visiting. Every tunnel has its mysteries, every pass its drama, every viaduct and bridge its own fascination. 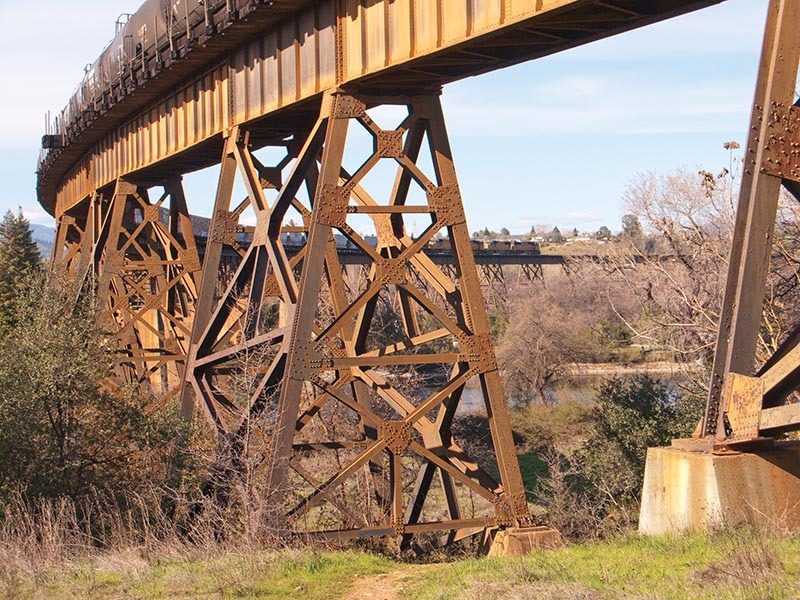 Consider Union Pacific’s trestle over the Sacramento River in Redding, Calif. A combination of steel viaducts and a trio of Warren deck-truss bridges, it was built by Southern Pacific in 1939. Its numbers are impressive: eight-tenths of a mile long, 110 feet above the water. It also has a weird soaring grace, simultaneously chunky and elegant. Despite its surface rust and its 80 years of age, it is healthy and hale. It not only preceded the locomotives crossing in my 2011 photo, but it will outlast them, standing long after those SD70Ms are cut up for scrap. Maybe the Redding Trestle is no record holder, but that kind of endurance still impresses… and there are plenty more like it out there in the world. 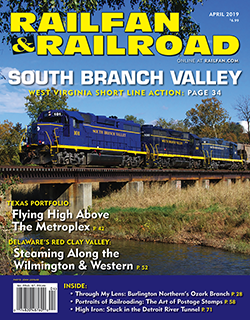 This article appeared in the April 2019 issue of Railfan & Railroad!